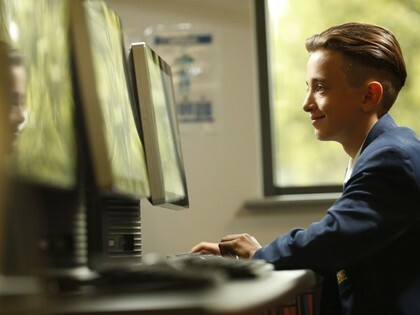 Students are taught in mixed ability groups using a mixture of project based work and separate sub-topics which cover the National Curriculum studies for Computer Science. Introduction to Computer Science – school systems - Google Classroom and file Management. focuses on Computer Systems and is a written exam making up 40% of the assessment total. Knowledge of the hardware & software. is focused on computational thinking and algorithms. Students will be tested on the elements of computational thinking and logic. They are principally assessed as to their ability to write, correct and improve algorithms. This component it worth 40% of the final grade. Component 3: Programming Project, this component is the non-exam assessment where candidates will be challenged by a range of exciting and engaging tasks to apply the knowledge and skills they have learned. This component it worth 20% of the final grade. E-records of student progress are updated regularly, using Google Classroom and Google Apps for Education.